All types of styles to outfit you from head to toe! Winter is here! 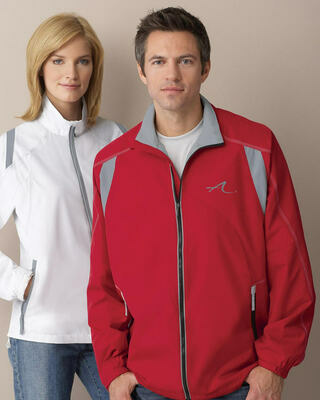 We have a great selection of Hospitality Sweaters and Outwear! 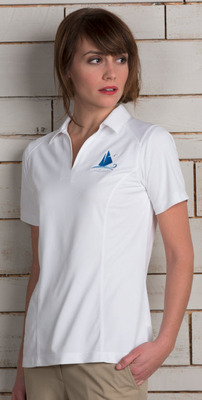 This restaurant polo shirt is fitted for the ladies with front seam details, includes UV protection for those hot out door days! 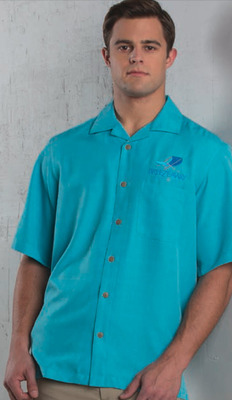 Incredible styling and durability on this uv protective restaurant polo shirt! 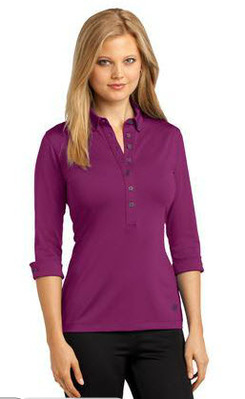 Durable, comfortable and moisture-wicking, this Ladies Polo Shirt is a staff favorite! Slight variation on the traditional polo shirt this option has 3/4 length sleeves! 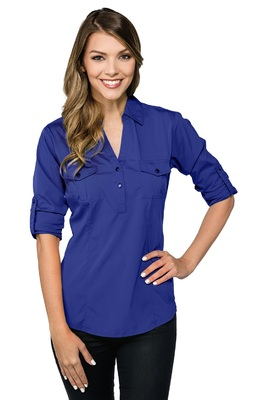 Beautiful fitted three quarter sleeve restaurant blouse, available in seven great colors! Figure flattering ruching and a fitted silhouette. 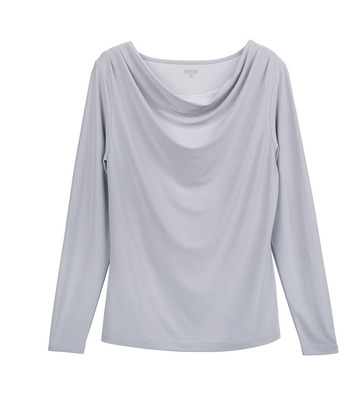 Flattering and feminine blouse with a lovely draped neckline. 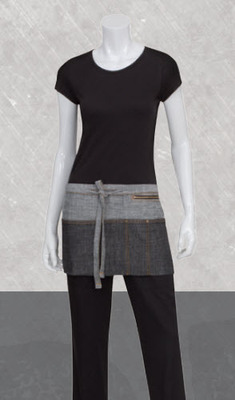 Fitted, feminine style with flexibility on the sleeve length! 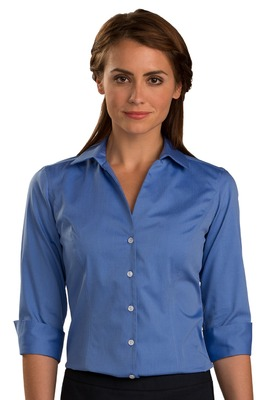 Non-iron pinpoint offers impeccable style with a "just presssed" finish! Modern fabric for a great new look! 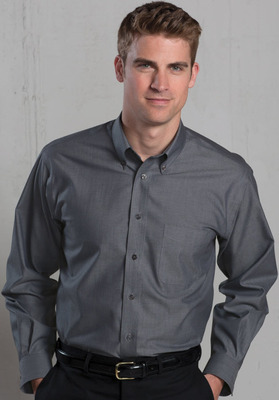 Finally a quality economy men's no-iron server shirt! 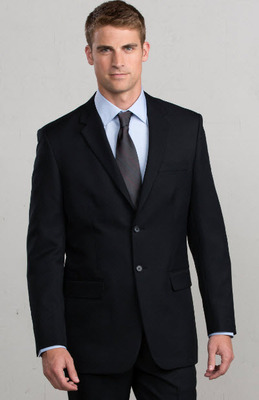 Effortless style meets easy-care in this lightweight, machine washable suit coat from Sharper Uniforms! 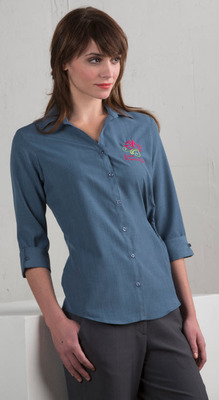 Trendy, roll-up chambray shirt with pleated pockets will keep your staff cool and stylish! 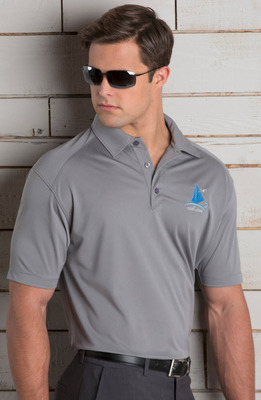 Durable, comfortable and moisture-wicking, this Men's Polo Shirt is a staff favorite! Available in four vibrant colors, a sure eye catcher at your party! 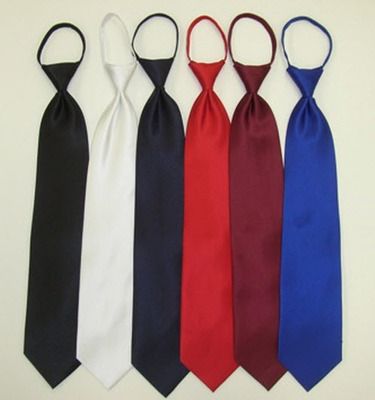 Polyester Bow Tie with Satin Finish in many colors! 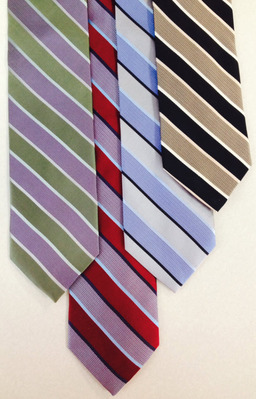 The Zipper tie is the greatest revolution to happen to ties since its invention. What is a Zipper Tie? It's all about the stripe waiter ties! 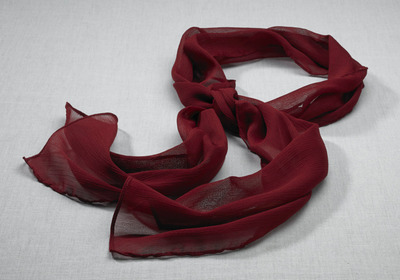 This scarf will sharpen up your front desk looks! 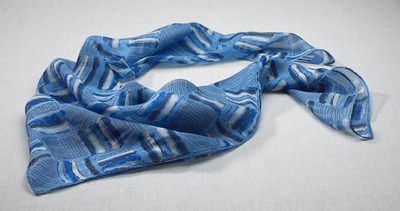 Flexible and colorful front desk Crinkle scarf! 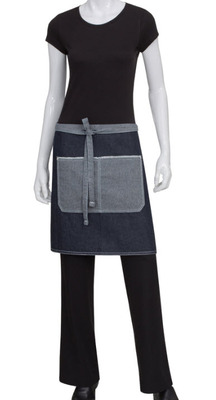 Our most popular Half Bistro Apron, 19"L X 28"W, available in many great colors! 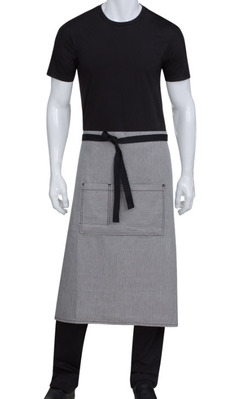 Classic One Patch Pocket Bistro Apron, with pencil divide, 32"L X 28"W, Available in many great colors! Classic Two Pocket Bistro Apron for fine dining and all types of catered affairs, 32"L X 28"W, Available in many great colors! 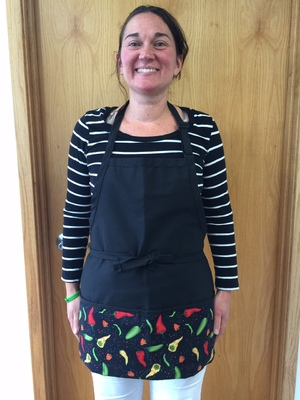 This is our most popular bib apron, available in 15 great colors, available in two sizes, adjustable neck loop, 24"L X 28"W, 20 fantastic colors! This modern cardigan is an eye catcher! 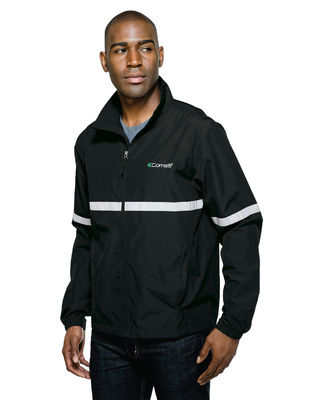 Our Extreme Windbreaker Reflective Valet Jacket is perfect for the warmer temperatures while still providing protection from the wind and rain. 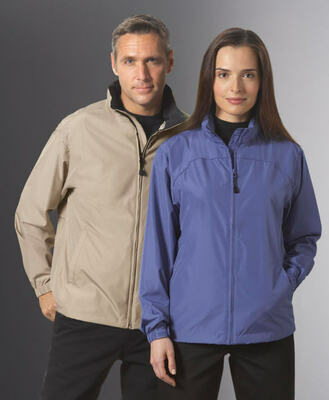 Great reflective light weight water resistant valet jacket, available in four fantastic colors! 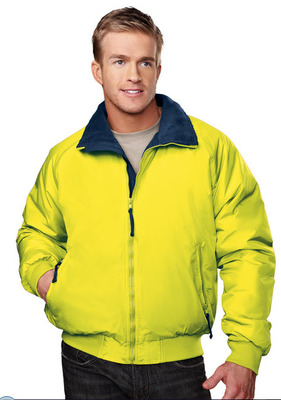 Fantastic value water resistant Valet Jacket, available in 8 great colors! The Great Coat is top notch for looks and warmth! 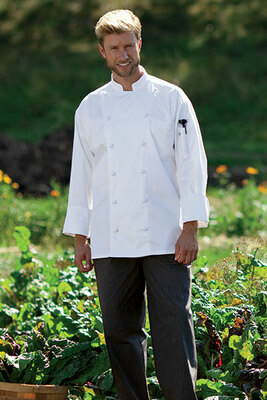 100% Cotton Chef Coat with 12 Large Knot Buttons and 3 Panel Back for Comfort. 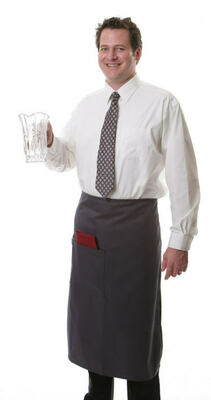 Are you searching for high-quality, custom restaurant uniforms and other hospitality uniforms online? You have come to the right place. 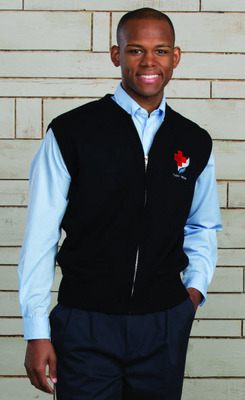 Here at Averill's Sharper Uniforms, we supply customized top-of-the-line uniforms to business owners and employees across a number of industries. Whether you are the owner of a large hotel chain or a small local restaurant, you want your employees looking and feeling their best at all times. We're here to help. Read on to learn more about our extensive uniform ordering options, and outfit your team with us today! 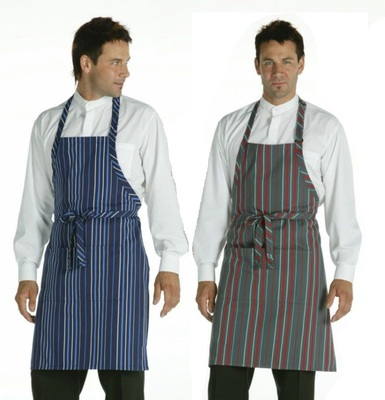 At Averill's Sharper Uniforms, we consider these three factors when researching hospitality uniforms for our clients: presentation, functionality and durability. 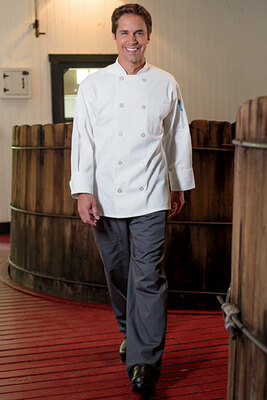 The uniform garment must look great - first impressions are everything! 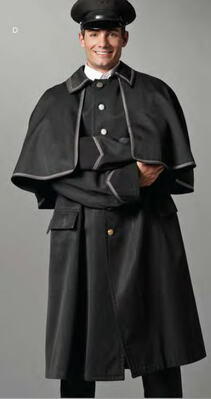 The uniform must be comfortable for the staff or they will not be able to perform at their best. Lastly, the garment must be durable both in wear and washing. Garments incur their biggest wear, believe it or not, in hot dryers. The high heat breaks down the fibers of the garment. (When washing your house uniforms, make sure you dry on low heat and take out and hang while still damp.) With our available uniforms, you can rest assured that these three factors are addressed and accounted for in every seam. 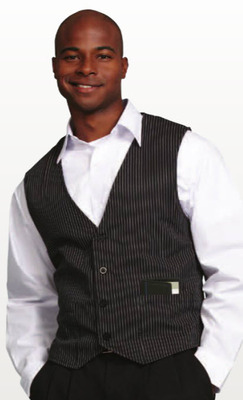 Whether you're looking to outfit a security firm, restaurant, hotel, country club or casino, Averill's Sharper Uniforms is here to help you and your team get the perfect uniforms for your needs. 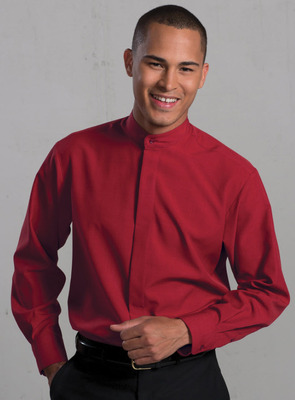 With years of experience in the hotel and hospitality uniform industry, our experts are committed to bringing you the personalized shopping experience you need to choose the right pieces for your staff. 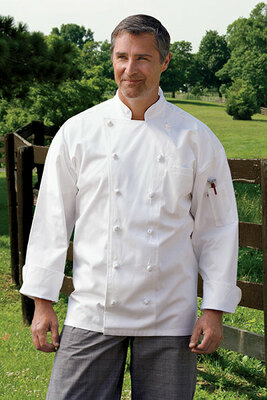 Need to find affordable restaurant uniforms, country club uniforms, security uniforms, or resort hotel uniforms? Don't worry - we have you covered. 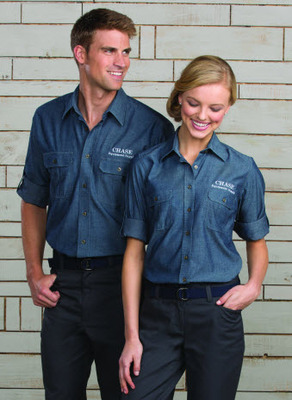 Here at Averill's Sharper Uniforms, we offer men's and women's apparel sorted by profession, so you can always find the right uniform for the job. 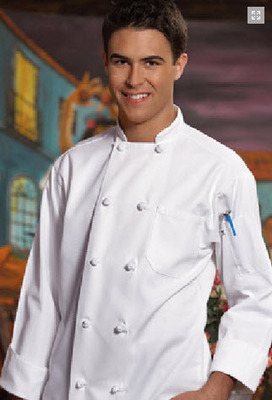 All restaurant uniforms, resort hotel uniforms, country club uniforms, security uniforms and more come made to look polished and professional, so that your staff always sends the right message. It was not long ago that all styles of uniforms were offered solely in "unisex sizing." In industry terms, unisex sizing is just another way to say men's sizing - it is not woman's sizing. In today's market, unisex sizing is not acceptable. 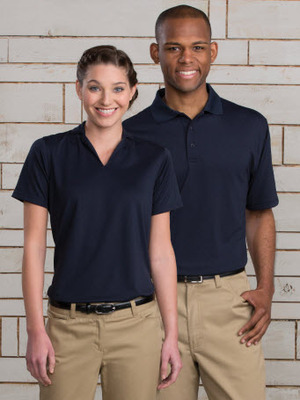 Averill's Sharper Uniforms offers all styles in both male and female sizing and styling to allow each and every one of your employees to feel great and look great on the job. As an example, the ladies have demanded garments with Open Collars, Princess Seams (darts) and Three Quarter sleeve lengths. 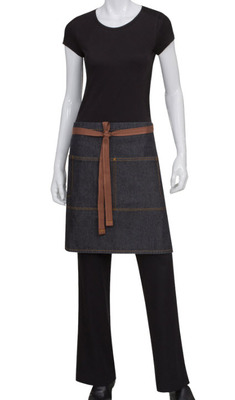 Our bestselling ladies hospitality wear has these attributes. While all of these fabrics and features have excellent applicability in commercial and hospitality wear, the hottest garment property of those mentioned above is currently iron-free. As you may have guessed, house uniforms that are iron-free do not need to be ironed, helping you save time, money and headache on maintenance. To make matters even better, our iron-free garments and other outfitted house uniforms are priced affordably to fit virtually any budget. 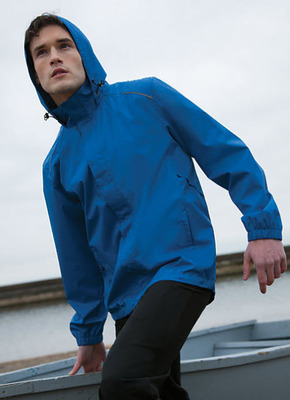 Most of our available garments can either be industrial or home washed up to 40 to 50 times. 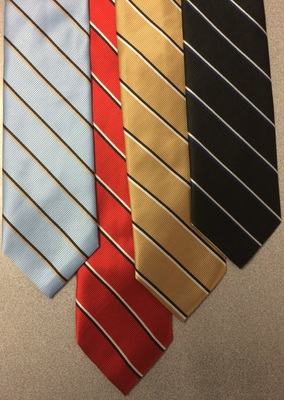 To help you customize your uniforms, our team here at Averill's Sharper Uniforms proudly offers premium decoration services - we like to call them Averill's White Glove Decoration Services. These include high-end embroidery, screen printing and heat seal services. 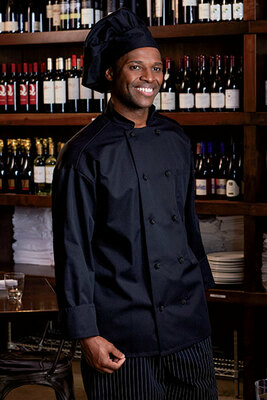 Please visit our Custom Restaurant Uniform Decoration for more information on our custom uniform decoration options. Typical turnaround times for our decoration services is around two weeks from the sign off on the logo mock up and the initial quote. Remember: In hotel and hospitality services, first impressions count. Make sure that your staff makes the right impression with high-quality hotel and hospitality uniforms from our trusted team here at Averill's Sharper Uniforms. We offer personalized service, guaranteed pricing and two-day shipping on most products anywhere in the continental U.S. Did we mention that we also deliver free hemming on most pants? 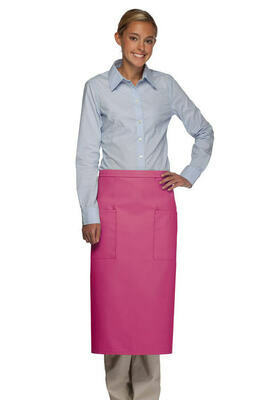 Outfit your staff the right way with uniforms, accessories and apparel from Averill's Sharper Uniforms today!